To the untrained eye, the shipping containers clustered on the outskirts of Borrego Springs, Calif., don’t look like an innovative clean-energy technology that could help California cope with wildfires. “I believe this is the only microgrid in the world that does what this does,” said Steven Prsha, an engineer for San Diego Gas & Electric, as he wrapped up a tour last month. California’s wildfire threat could be an opportunity for clean–energy microgrids, by Sammy Roth, The Los Angeles Times, March 15, 2019. As California leaders scramble to address the fallout from devastating wildfires that have ripped across the state in recent years, the California Public Utilities Commission is reviewing rules that allow the state’s electric utilities to cut power to communities when there is a major risk of forest fire. The goal: pre-emptively shut off power to sections of California’s aging grid so that it doesn’t spark any more deadly blazes. These wildfires have also destroyed homes and entire towns, and this week brought the state’s largest utility to the brink of bankruptcy. Shutting off power may well be a necessary step, but — beyond potentially leaving communities in the dark for days or longer — it also risks handcuffing first responders who need power to do their work if the fire comes from another source. One possible answer to the dilemma: Fremont-based Gridscape Solutions, a renewable energy project developer, is working with California fire stations to build resilient microgrids. Gridscape’s microgrids allow fire stations to run islanded from the grid, and the company believes it’s a model that can be replicated across the state — especially in areas at risk of wildfire. So far Gridscape has piloted microgrids at three fire stations in Fremont, one of the largest cities in the San Francisco Bay Area. Pacific Gas & Electric is under immense public scrutiny for its role in causing multiple small fires and possibly several major ones that have burned across its territory in recent months. CEO Geisha Williams stepped down from the company on Sunday, after the utility saw its credit rating downgraded to “junk” status and shares tumbled. The utility announced Monday that it will file for bankruptcy protection by the end of the month, facing billions of dollars in potential wildfire liabilities. Regardless of what happens to PG&E, it’s clear that the state’s power grid is a risk and new solutions are needed. California regulators are examining plans to prioritize de-energizing large sections of the state’s electric grid in the wake of recent wildfires. They’ve already ordered utilities in the state to hold workshops in areas that could see preventative outages. 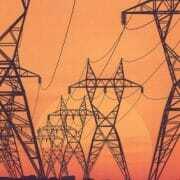 If a utility does cut power, it is supposed to alert customers and emergency service operators a couple hours before. Peter Asmus, associate director of utilities and energy companies for Navigant Research, said the main concern with cutting power as a preventative measure against fires is ensuring that these critical services remain operational. 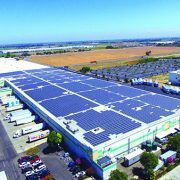 In Fremont, Gridscape has deployed 40-kilowatt solar arrays on car canopies combined with 110-kilowatt-hour battery energy storage systems. These distributed energy resources are not the most innovative piece of the project, however. The most innovative aspect is on the back end. Gridscape’s microgrids are virtually connected with cloud-based software and controlled with a smart controller that manages power flow from the distributed resources and from the grid. It is one of a few companies to market this type of system for building resiliency into an emergency management and wildfire protection. Rachel DiFranco, Fremont’s sustainability manager, said that the city’s goal with the project is to support local clean technology businesses, demonstrate the benefits of renewable energy storage for the community, and prove that a microgrid system can work at its fire stations. DiFranco estimates that the system will save — at minimum — $250,000 in power costs over about a 10-year period. But she expects even higher savings as the battery saves on peak demand charges at the fire stations. Additionally, the city will reduce its greenhouse gas emissions by 80,000 pounds annually. “This was always a great idea from a greenhouse gas emissions perspective, and it will add operational resiliency. But it also hit so many value-adds beyond the sustainability factor,” DiFranco said. Fremont’s microgrid system was built for $2.4 million. The California Energy Commission kicked in $1.8 million, and Gridscape Solutions paid for the rest, which it will recoup through a power-purchase agreement with the city of Fremont. “The fire station microgrids allow us to significantly save on our operational costs while at the same time introducing an aspect of resiliency by providing us with energy independence,” Alexander Schubeck, the emergency services manager for Fremont Fire Department, said in a statement. Gridscape won a $4.9 million grant from the Energy Commission in 2018 to build out these types of microgrids, as the startup competes with other microgrid players like Sunrun and Schneider Electric. Gore is in talks about building microgrids at fire stations in Richmond and other cities across the state. He said the next site could be in the city of Stockton, California. 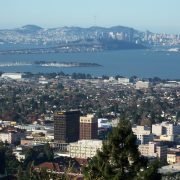 This East Bay Energy Startup Is Building Microgrids for California’s Fire Stations, by Kevin Stark, Greentech Media, January 15, 2019. In this era of Big Data and break-neck innovation, Distributed Ledger Technology, popularly known as blockchain, will be key to creating smart local systems with renewables, storage, and electric vehicles. What blockchain means for the energy industry as a whole, and local energy providers such as Community Choice Agencies, is addressed in The Energy Web Chain: Accelerating the Energy Transition with an Open-Source, Decentralized Blockchain Platform, published this month by the Energy Web Foundation. Originally created to support Bitcoin cryptocurrency, blockchain is a Distributed Ledger Technology that replicates a transaction ledger (i.e., database) in a series of blocks across a network of computers; when a new transaction is added to one computer, blockchain confirms the new information using multiple validators and distributes it to all peer computers ensuring their ledgers are the same. A blockchain can contain financial and other data; validate transactions in near real time; use cryptography and digital signatures to prove identity, authenticity, and user access rights; enforce write and read-only permissions; and protect the transaction record from tampering. 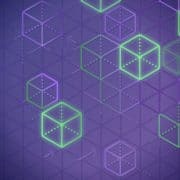 These capabilities enable smart contracts that use computer code to automatically perform a function or data modification within the blockchain for a wide range of transactions (e.g., financial, ownership transfer, data storage, and marketplace creation) — each of which is confirmed by multiple blockchain validators. As a result, blockchain can process energy transactions faster, more securely, and at less cost. Set to launch in summer 2019, the Energy Web Chain (EWC) will offer “a foundational, shared, digital infrastructure” for the energy and blockchain industries. The EWC is being developed in collaboration with stakeholders from the clean energy, utility, grid operator, blockchain, and start up sectors. The Foundation aims to deliver a scalable industry-grade EWC platform by 2025 to support new Distributed Energy Resource (DER) markets and business models. The Foundation will increase the number of collaborators from 70 to 200 by the launch date and is accepting protocol and upgrade recommendations from the general public in addition to its collaborator group, which currently includes PG&E and Sempra Energy, utility manager for Southern California Gas and San Diego Gas & Electric companies. In The Energy Web Chain, the Foundation cites several examples of how the EWC can support decarbonization, decentralization, and digitization in alignment with Community Choice Agency goals. Community Solar. Community Solar projects allow renters and multi-family building owners to obtain the benefits of solar power; however, soft costs such as permitting, legal fees, and interconnection often increase project complexity and cost. Blockchain smart contracts enable a community to manage ownership, governance, and profit division at less cost and with greater security. On the revenue side, blockchain offers two additional advantages for Community Solar: access to global investors and the ability of project participants to easily and affordably liquidate kWhs or project shares. Decentralized Grid. The centralized grid structure does not have the capacity to effectively value aggregated distributed resources and the competitive generation and load management services they deliver. In the EWC, each DER device (whether a new appliance or a microgrid) has its own digital identity linked to its capacity and customer information. As these DER join the grid, they can act “on behalf of their owners — to use or not use electricity at certain times via detailed, close-to-real-time price signals.” This makes it possible for local DER aggregations can function as single grid participant or “clean energy portfolio” replacing the need to purchase electricity from centralized thermal power plants. Contract and Market Diversity. Bilateral and multi-lateral smart contracts can bring wholesale markets to the local distribution grid without a costly back-office process. According to the Foundation, “Forward-looking capacity, real-time energy, and ancillary services markets can be localized, aggregated in a nested hierarchy, and better reflect the value of energy and services over time and place.” The Foundation predicts new utility business models and market entrants will emerge in response to blockchain benefits such as lower market management operating costs, improved DER cost profiles, and continuing advances in blockchain and digital technology. The September 2018 GreenTech Media article “For Utilities Exploring Blockchain, There’s Beauty in the Mundane” reports that PG&E and BMW are using blockchain to pilot a carbon credit program for electric vehicles (EV) using an emissions profile based on when the driver charges his/her EV. BMW telematic data is being used to cross-reference user charging behavior with the real-time energy mix data to incentivize drivers to charge when solar energy is plentiful. Renewable Energy Certificates (REC). The EWC provides a digitized automated platform for REC transactions using the device identity and smart contracts to make REC transactions affordable, effective, and transparent while providing ownership privacy where needed. 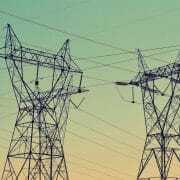 As the broader EWC platform is being developed, energy companies are using blockchain in internal proof-of-concept applications such as tracking chain-of-custody for building materials and equipment; for example, PG&E is using blockchain to trace steel reels that carry overhead cables to determine how blockchain can improve and automate the supply chain for all grid materials, according to GreenTech Media. Chris Cone is Principal of Chris Cone Consulting specializing in distributed clean energy systems that engage private sector innovation, accountability, and competition to meet greenhouse gas targets; drive solutions that create jobs and grow local economies; and foster a sustainable clean energy economy.